Residents of the Village of Mount Pleasant and Racine County will get a chance at meetings this week to hear about the three-quarter billion-dollar roll of the dice assigned to local treasuries by GOP politicians and their Foxconn partners. 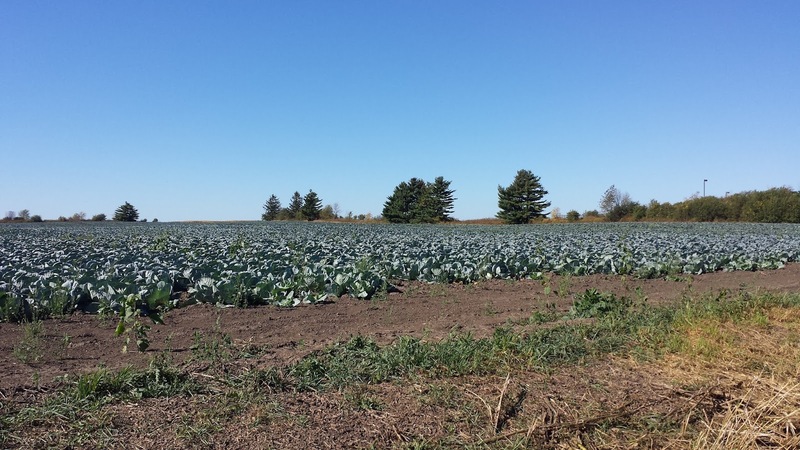 We'll see if Racine County cabbage fields among thousands of acres which Foxconn is eyeing remain green, are converted to sprawling factory floors, or sour to red-ink-stained lemon groves. ...a 4:30 p.m. session Wednesday at the Mount Pleasant Village Hall and a 5 p.m. Thursday meeting at Memorial Hall in Racine. Here is an updated single blog post with dozens of links to the Foxconn story as it has developed over the months. Foxconn has said it wants to be engaged in manufacturing on the farmland it intends to build on next year. But let's remember that big projects routinely come with big delays - - Google, for example; I-94 Story Hill, Miller Park, I-94 North South, Madison Civic Center or Waukesha water diversion - - and speaking of diversions, I have yet to see any follow-up to a published report that the Foxconn site will require a time-consuming application for a diversion of Lake Michigan water. Awesome video. Thanks for the link. WI's water grabbers are at it. Again. What? WEDC isn't ready on Foxconn?